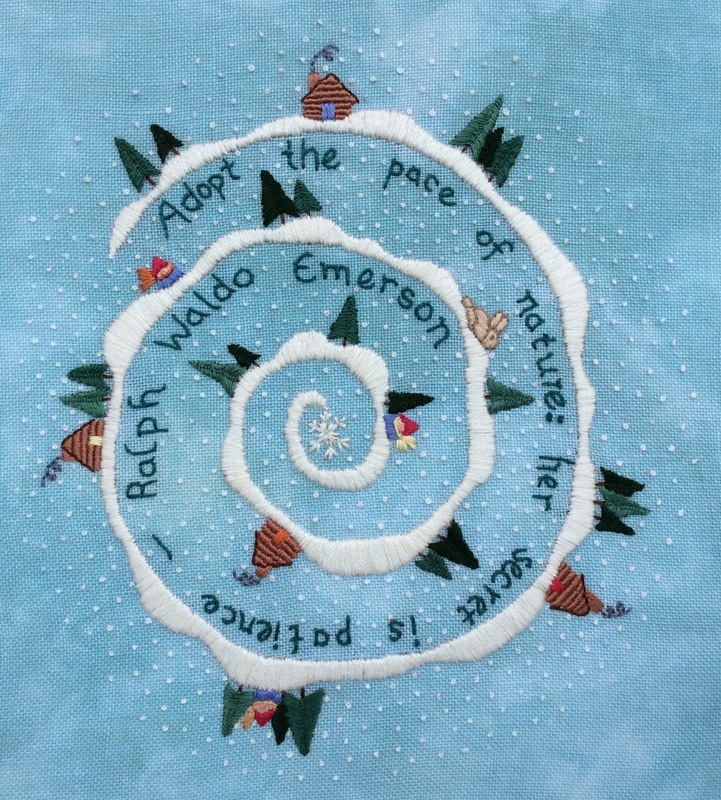 I'm pleased to tell you that I have recently completed a new embroidery inspired by winter, the spiral form I used in the Rumi Wisdom embroidery and the quote above from Ralph Waldo Emerson. 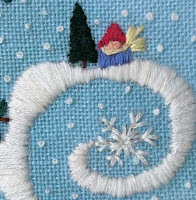 It seems to me that winter is all about patience - the patience to sit by our fires and create slowly, to let a stew simmer for hours and hours developing amazing flavors and finally, the patience to wait for the snow to melt and the earth to wake up and grace us with greenery. 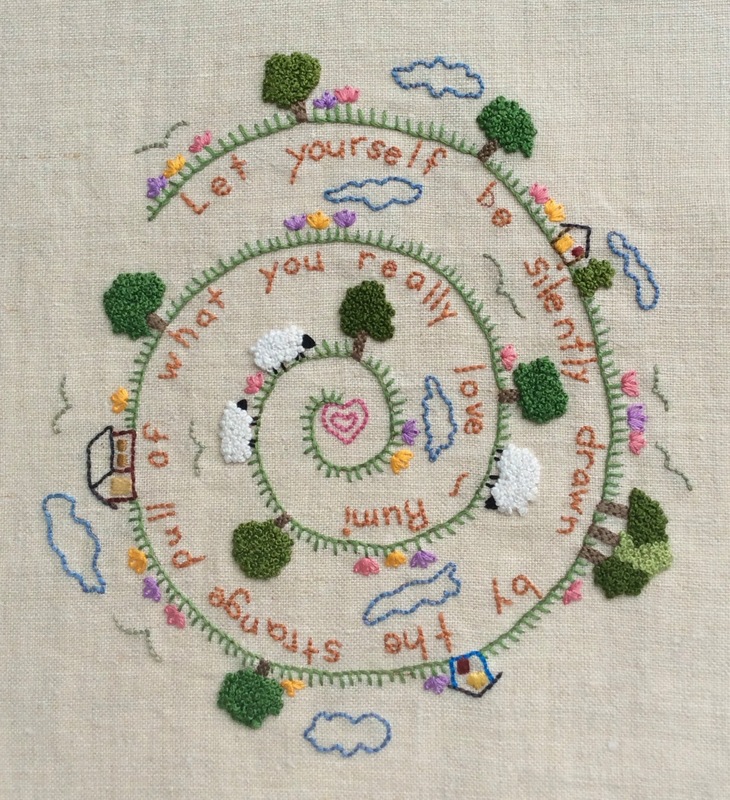 Now that the embroidery is complete and my notes are in mostly good order I've started working on the pattern. I'm hoping to have it in my etsy shop in time for some long winter stitching.